Beh Le Hao is currently a first year undergraduate reading BSc Actuarial Science at London School of Economics and Political Science. This personal statement was part of his successful application to LSE and City University of London for Actuarial Science, UCL for Mathematics and Statistics and University of Warwick for MORSE. How do professional sports gambling syndicates use multiple regression analyses to predict outcomes reliably to earn income? Why are they so confident that the risks taken will be rewarded? I am intrigued by these questions and my interest prompted me to do some independent research into statistics. I was fascinated by how Bayes’ Theorem applies conditional probability to sports betting in order to make predictions. I am curious about how models are used to combine qualitative and quantitative data with such precision, even with the large number of random variables that affects results. M. Lewis’ ‘The Moneyball’ illustrates how the Oakland Baseball team won by assembling a group of undervalued players that matched the skills needed to succeed. What really fascinates me was how they established a new method of statistical analysis using varied key performance data points to evaluate players. I am frequently amazed by the power of statistics and how it can completely change people’s perspectives and views of traditional games. It is clear to me that such modelling can have similar impacts on organisational change in business too. My desire to broaden my knowledge is what drives me to apply for a course in Maths and Statistics. Statistics is particularly useful when discussing the 2008 financial crisis. The housing bubble, created from the sheer volume of unrepayable loans, could have been avoided if banks had reacted to the increased rate of default and statistical uncertainty. I feel they did not recognise the importance of statistics: banks had the knowledge they needed about their loanees, and knew they were taking huge risks, but approved loans anyway in pursuit of profit. However, I am also aware that the exponential increases in the amount of data available can also develop overconfidence, leading to predictive inaccuracies. I am really interested in how actuaries apply their knowledge to risk minimisation, which is such an essential feature of today’s world. Reading ‘The Great Mathematical Problems’ by I. Stewart, I encountered problems that have puzzled mathematicians for centuries, while also learning about the fundamental equations that shape our understanding of the world. My particular fascination with the randomness of prime numbers led me to explore more challenging and stimulating concepts, such as Goldbach’s Conjecture and Riemann Hypothesis. It is intriguing how the unproven Riemann zeta function, by proving all non-trivial zeros lie along the critical line, provides a way to encode the prime number theorem. In Statistics, I enjoy applying hypothesis testing to determine data’s reliability. In Decision Maths, I am drawn towards the intuitive nature of dynamic programming. I was left intrigued by how an algorithm can work backwards to reach an optimal solution; I had never thought in that way before. My internship at a corporate finance company reinforced my interest in statistical analysis in the field of investment banking. I learned how analysing historical data helps evaluate the profitability of transactions. Their use of spreadsheets and presentations in order to value companies and track changing trends in a volatile industry was impressive. I had to independently conduct my own research, looking for patterns and links within data, which taught me a great deal. I have learnt programming languages, such as C++, independently from a young age. I enjoy participating in Maths competitions including the Olympiad, ICAS and Kangaroo Maths. I play the piano to Grade 6; this requires focus and persistence, and has greatly improved my memorisation skills. As School Basketball Captain and a School Prefect, I have developed my leadership, communication and teamwork skills. As a curious, open-minded and committed student, I am excited about furthering my passion for Maths and Statistics at a first class UK university, driven by the prospect of furthering my knowledge of the world around me as an undergraduate. Hello 🙂 My name is Syaza Nazura, and I am a student at the University of Wisconsin-Madison, Class of 2017. I’m a student under the MARA loan and am currently pursuing Actuarial Science (and probably a second major in Risk Management and Insurance). Before you start asking me about how I got here, let me share the story of how I came to the land of the free (or so they called it). I sat for my SPM in 2011 in Kolej Tuanku Ja’afar (KTJ), Mantin. In January 2012, I started my A-Levels (partly sponsored by KTJ). Back then, I only had one aim: to get into a good UK university. I only had a few choices, since there weren’t many UK universities that offer Actuarial Science. These were the usual choices: LSE, Kent, Southampton, Warwick and Heriot-Watt. (Well, that was a couple of years ago. I don’t know if anything has changed since). I was pretty enthusiastic about starting my A-Levels. To be honest, I was psyched. I mean, I love studying, it’s fun. Three months into the A-Levels and I was really enjoying it. Then came results day at the end of March, and I received 9A+ for my SPM – Alhamdulillah. I applied for various scholarships, but there were limited scholarships available for Actuarial Science. I was rejected by almost all the scholarships I applied for, including Bank Negara Malaysia and Yayasan Khazanah. I only made it to the second stage of the Securities Commission scholarship, since they don’t really offer Actuarial Science but were interested in my intention to pursue MORSE (Mathematics, Operational Research, Statistics and Economics) at the University of Warwick. Needless to say, I was, of course, devastated. I no longer had the enthusiasm to study anything, but I held my head up high and moved on. In May, I sat for five modules for my Advanced Subsidiary (AS) Level Maths exam, and received 4A’s and 1C (A’s for C1, C2, C3 and S1, and a C for M1. These modules are for Edexcel A-Level Maths http://www.edexcel.com/migrationdocuments/GCE%20New%20GCE/UA035243_GCE_Lin_Maths_Issue_3.pdf). I applied for the MARA loan for Actuarial Science in the US, but didn’t really put much hope into it (since I didn’t really want to go to the US in the first place). When MARA began calling students for interviews, I was shocked that I was called as well since I didn’t really fill up the form. I took it up as a challenge, and went to the interview to try my luck. I wasn’t chosen in the first batch of students, which didn’t really come as a surprise, knowing that I didn’t write the essay they asked for during the application and everything. But I tried appealing, this time for the Economics program in the US, and somehow a miracle happened and I managed to get a placement. Then came the hardest task I had ever faced at that time: convincing my parents to allow me to leave A Levels, start over with a completely new pre-u program and go to the US. My parents weren’t convinced at first, but somehow they came through and allowed me to move to UiTM’s International Education Centre (INTEC), Shah Alam to start my one-year American Degree Foundation Programme (ADFP) program. During my year in INTEC, I received a CGPA of 3.62. I sat for my SAT Reasoning Test twice, once in October 2012 and December 2012. I also took up the SAT Subject Tests for Physics and Math 2, since I wanted to apply to the University of Pennsylvania (UPenn’s College of Arts and Sciences requires applicants to take two SAT Subject Tests). I also sat for my TOEFL in December, and received a score of 109/120 for my Internet-Based Test (iBT). I applied to four universities, and was accepted to three of them. I was rejected by my first choice, the University of Pennsylvania, and had to choose between these three universities – University of Wisconsin-Madison, University of Iowa and Purdue University. It is one of the Centers of Actuarial Excellence as stated by the Society of Actuaries, USA. It is a pretty place with lakes all around (I like lakes, and rivers, and beaches). And so, after finishing up my ADFP in June 2013, it was time to head to the States. Once I reached Madison with my parents in mid-August, I really did not regret choosing Madison over the others. The place is super-duper beautiful (in my eyes), and I fell in love instantly. The wound of being rejected by UPenn was healed, as I managed to visit UPenn during my winter break. All in all, it was a bumpy roller-coaster ride. I certainly did not regret taking up A-Levels, even if it was only for 6 months, since I met so many awesome people from my batch in KTJ. I also certainly did not regret starting over in INTEC, since now I know how much I adore the US education system over anything else. My advice to you is: If you’ve started on your journey, but somehow feel like it’s not the one for you, don’t be afraid to stop and start all over. Sure, people will say that you’re weak and stuff for not making it through the end, but it’s your life. Would you rather put up with something that is not what you like and regret it in the end, or would you rather start over with something you love and enjoy what life brings you afterwards? Think, and make your decisions based on what you want. 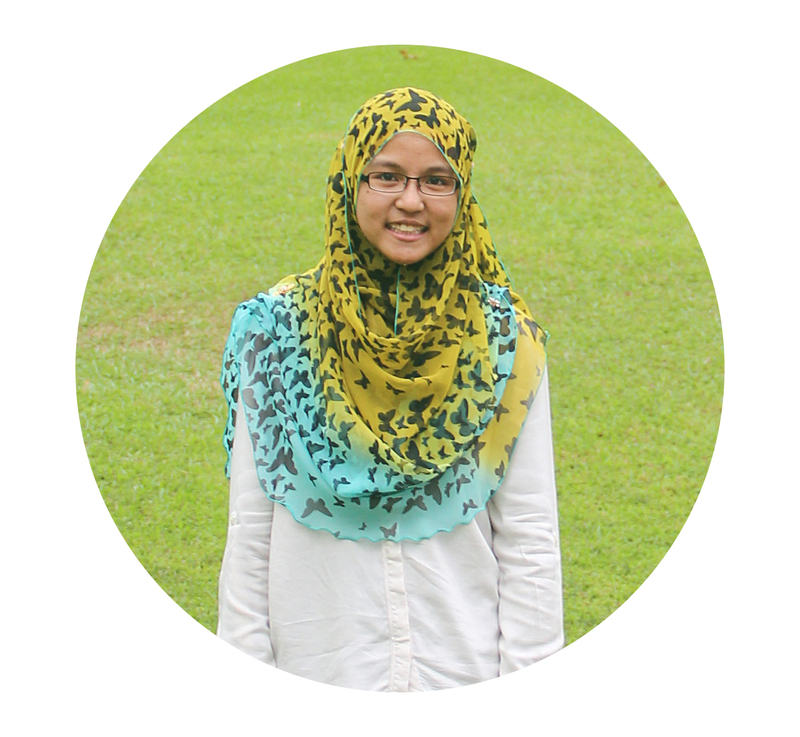 Syaza Nazura is a business student at the University of Wisconsin-Madison, USA. While not entertaining the thoughts of whether or not Actuarial Science is the best path for her, she stuffs herself full of chocolate and blogs at http://syazanazura.com. This MARA scholar plays basketball and is in love with anime and manga. How to write application essays to get into Actuarial Science programs in US? I am a corporate scholar currently doing ADP (1+4 program) in Taylor’s University. I am doing Actuarial Science and I plan to apply to UPenn (The Wharton School) and University of Wisconsin-Madison. May I know what is the best approach to the admission essays in order for me to get into these school? This reader wishes to pursue Actuarial Science at UPenn (Wharton) or University of Wisconsin. Hello! It seems that we share a pretty similar Pre-U background. First of all, it’s quite difficult for me to give you good advice on how to approach the essay without knowing the question. Why don’t you come back to us when the questions or prompts are released? Secondly, essays are not all there is to your application. Don’t forget about SAT 1 and 2, because your scores in these tests matter a lot too, especially if you’re applying to competitive universities like the Ivy Leagues. And It’s not just the Ivy Leagues, there are a lot of stuff you have to pay attention to in order to get into any school: SAT 1 and 2 scores, TOEFL/IELTS scores, the essay and the interview. Without a decent score for SAT 1 or TOEFL, your admissions chances will be dented even if you have a good essay. By the way, your sponsoring body will not allow you to go abroad if you do not get the CGPA (in ADP) required if I am not mistaken. If you have already sat for TOEFL, SAT 1 and 2, and you are happy with your scores, I don’t mind finding current students from UPenn (Wharton) to help you with applications! I’ll be very happy to help another Malaysian student get accepted. 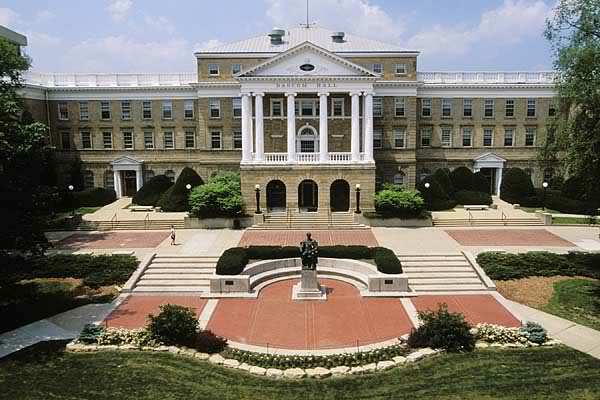 I am very pleased to know that the University of Wisconsin-Madison is in your list of schools too. My big advice on this school is to apply as early as possible because there are lots of applicants and admissions might not have the time to read yours. This incident happened to me and my friend. Most of their admitted students have SAT scores between 1810-2000. Furthermore, SAT 2 is not a requirement for Wisconsin! How awesome is that? Oh! And are University of Michigan-Ann Arbor, Pennsylvania State University – University Park and University of Illinois – Urbana Champaign in your list? These public schools have excellent actuarial science programs too. Do update us if you have any more questions! Answered by: A corporate scholar who is currently pursuing a degree in Actuarial Science at Pennsylvania State University after completing the ADP (1+4 track) at Taylor’s University. Hi. I just wanted to add that your intended major might not matter as much as your passion, personality and opinions (collectively known as “who you are”) when writing your college essays. Speaking from my experience applying to the University of Michigan, Ann Arbor’s Actuarial Mathematics major (I eventually got admitted), I didn’t even touch on my intended major in any of my essays. I wrote 3 essays for UMich, and they are the Commonapp essay that is sent to every school you apply to via Commonapp, and 2 more essays just for UMich. The Commonapp questions are very personal and don’t explicitly ask why you chose your major. For example, last year they asked applicants to write about their failures or a defining event in their lives, among others. The prompts should remain the same this year. The UMich questions were about my identity and the standard “Why our college?” What I mean to say is, don’t worry too much about your major when writing your essay, and just be yourself, no matter how cliched that sounds. Answered by: Yeong Wern Yeen, a JPA scholar, will be going to the University of California, Los Angeles (UCLA) this fall. She just finished Cambridge A Level at Taylor’s College Subang Jaya. Syaza Nazura, an Actuarial Science student at University of Wisconsin, Madison, also wrote an article on how to approach the US application essays, in response to this reader’s question.